Resource States may be Normal or Pathological. We want all our personality states to be normal. ​Resource Therapy helps states move to normality. See the tables below for types of pathology Resource States can experience. The Diagnosis is the Key to the session. 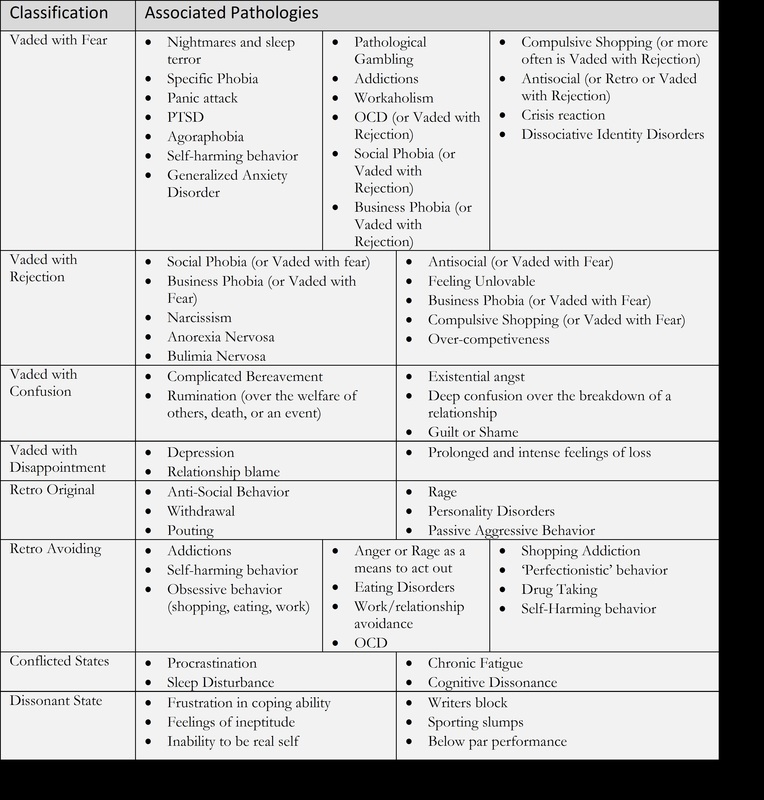 In Resource Therapy there may be a number of diagnoses for different pathological states during the same session. The diagnosis is for a state, not for the entire person. It is more rare for a client to have only a single pathological state than to have a few states that need change. We want all our states to be normal functioning. This means the state is operating well both with our other ego states internally and is operating well externally with other people. The state is not causing us trouble. Most people have a work state that is normal functioning. Resource therapy is a process of helping state to become normal functioning. A Normal State will not be Vaded, Retro, or conflicted. It is possible for other states to share a combination of conditions. For example Retro states are almost always also conflicted with other states who do not appreciate their actions. The person gets angry then feels bad about it later. Resource Therapy can help states become Normal, freeing the person to have a higher level of inner peace.